Lynden Harris is the Founder of Hidden Voices, through which she collaborates with underrepresented communities to create award-winning works that combine narrative, performance, mapping, music, digital media, animation, and interactive exhibits. During her decades of work as an artist facilitating community connections, Lynden developed the Hidden Voices Process, a participatory workshop model designed to empower change through collective visioning and collaborative action. This process facilitates a dynamic exchange between documentary, art, and community that allows for a multiplicity of voices and a multiplexity of understandings. The former Artistic Director of The ArtsCenter in Carrboro, NC, Lynden is a member of the MAP Fund Class of 2016 for the project Serving Life: ReVisioning Justice and in 2014 was named a Founding Cultural Agent for the US Dept. of Arts and Culture, a people-powered movement mobilizing creativity to build a world rooted in empathy, equity, and social imagination. 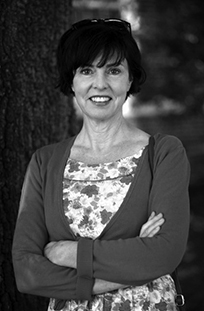 www.usdac.us She also teaches Stories for Social Change (Theatre, Public Policy, Documentary Studies, Women’s Studies) at Duke University and writes for the News and Observer family of papers about community voices, the arts, and social justice issues. Lynden is a founding team member of the Duke Transformative Prison Project.